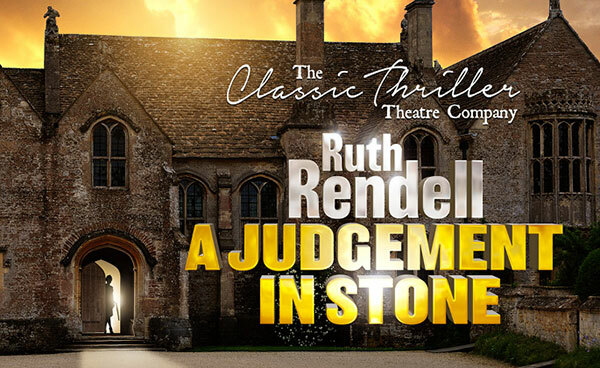 The Agatha Christie Theatre Company has announced that its next production will be a UK Tour of Ruth Rendell’s A Judgement In Stone. Eunice struggles to fit in. When she joins a wealthy family as their housekeeper the very reason for her awkwardness, long hidden and deeply buried, leads inexorably to a terrible tale of murder in cold blood – on Valentine’s Day! First published in 1964, Ruth Rendell has been hailed as the successor to Agatha Christie and the woman responsible for revitalising the mystery genre. Ruth was awarded the CBE in 1996. She has published over 80 novels, has worked in TV and film, and created the well-known Inspector Wexford. The star cast includes award-winning TV and stage favourite Andrew Lancel best known to TV audiences for his portrayal of villainous businessman Frank Foster in Coronation Street and for the role of DI Neil Manson in The Bill. He is joined by Sophie Ward who played the beautiful, ill-fated love interest of Young Sherlock Holmes and Dr Helen Trent in long-running ITV drama Heartbeat, pop-idol Mark Wynter who since his hit parade days has featured in seven Agatha Christie Company productions, Deborah Grant, who has starred in Not Going Out and Bergerac, movie icon Shirley Anne Field who became an overnight star in two landmark films The Entertainer opposite Sir Laurence Olivier, and Saturday Night and Sunday Morning with Albert Finney, Antony Costa who shot to fame in chart-topping boy band Blue and Agatha Christie Company stalwart Ben Nealon whose TV credits include ITV’s award-winning drama Soldier Soldier. A Judgement In Stone is produced by Bill Kenwright.